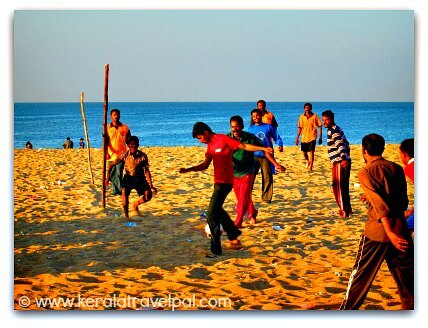 If you are travelling south coast, Kollam beaches is a topic you may want to know more about. Kollam, an ancient port town and a backwater hub, has a lengthy shore line with few beaches here and there. With many tourist attractions located all over the district, it depends how many beaches you want to visit. If time is short, Kollam beach (M.G beach) is right in the city, and two other (Thangasseri and Thirumullavaram) are in the city fringes (5 – 6 kms from city centre). If you are really keen on beach holidays, the best place in the whole region is Varkala. If you visit Varkala, you can skip most of the rest. Varkala is actually a part of Trivandrum district. However the beach is closer to Kollam than Trivandrum City. 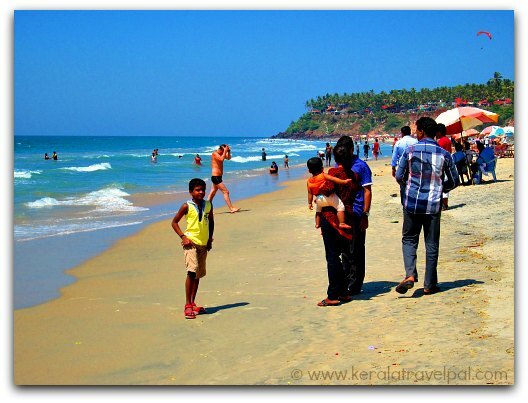 From Varkala, Kollam is 37 kms to the north where as Trivandrum City is about 54 kms south. Travel folk find Varkala beach lovely for the imposing cliff, the great look outs, the fine sandy beach, the vibrancy and the uplifting feel. Well, there is more to Varkala than that. Thirumullavaram is a scenic laid back village about 6 kms from Kollam town. There are a few resorts and home stays near the beach. Just near the beach is an ancient temple, dedicated to Lord Vishnu. If you want to stay out of town, yet not too far, then have a look at Thirumullavaram. Another beach, at the outskirts of Kollam town is Thangasseri. Thangasseri is a small town known for its eventful history. A fort and a few other ruins still stand as reminders. The beach is about 3 kms long. There is a light house on the beach, open to visitors during afternoons (3.30 - 5.30). Also called Mahathma Gandhi beach (or M.G beach in short), it is a couple of kms from the centre of town. Thanks to well laid out beach garden and walk ways, the beach is popular for morning and evening walks. Swimming is out of the equation as currents are strong. Good as a brief hang out if you are bored with the town. 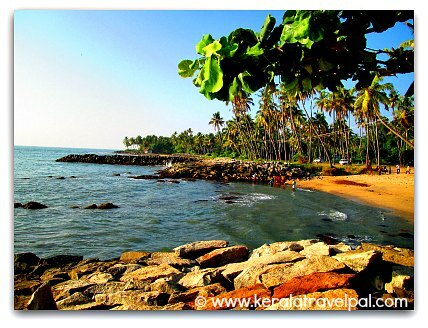 Paravoor, about 20 kms south of Kollam, is a beach – backwater destination. A narrow stretch of land runs between Paravoor Lake and the sea. At Pozhikkara in Paravoor, backwater opens into the sea. It is great place to sit and enjoy the wild beauty of strong currents. Getting into the water is not a great idea for the same reason. Travel about 4 kms south of town to reach Eravikulam beach strip. 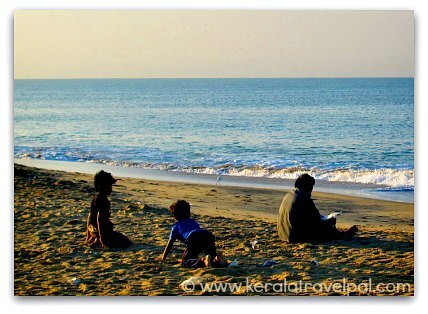 Kollam – Eravipuram beach road runs parallel to the sea. Unfortunately, the sea has taken over some parts of the shore, gradually over several years. Azheekal is where tsunami of 2005 did the greatest damage in Kerala. Azeekal, a narrow land, is surrounded by water on three sides. About 40 kms from town, it is towards the Karunagapally side of the district. Kayamkulam lies on the other side of the backwaters. Amritapuri, the Ashram of Matha Amritanandamayi, is a sea side village just about 6 kms south of Azheekal. There is a small beach in Amritapuri too.